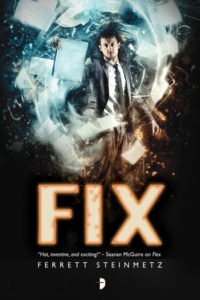 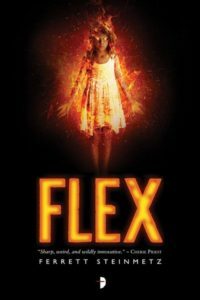 Ferrett Steinmetz’s debut urban fantasy trilogy Flex (and The Flux and Fix) features a bureaucracy-obsessed magician who is in love with the DMV, a goth videogamemancer who tries not to go all Grand Theft Auto on people, and one of the weirder magic systems yet devised. 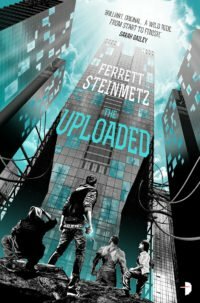 His latest book The Uploaded, well, you just read about it, didn’t you? 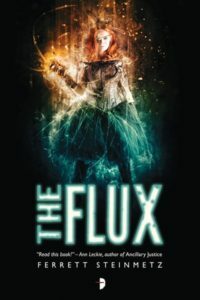 He was nominated for the Nebula in 2012 and for the Compton Crook Award in 2015, for which he remains moderately stoked, and lives in Cleveland with his very clever wife, a small black dog of indeterminate origin, and a friendly ghost.